China has failed in its first attempt to send a rocket into space. The losing endeavor was undertaken by a private Chinese company. The company named Landspace which is based in Beijing announced on late Saturday that the first and second stages of its ZQ-1 rocket appeared to have worked normally, but that unfortunately, something went wrong with the final of the three-stage rocket. A Chinese news site posted a video showing the 19-meter (or 62 -foot) tall red-and-white rocket lifting off on Saturday against the backdrop of clear blue skies. It happened to be the first three-stage rocket built by a private company in Asia’s biggest economy. Landspace was founded in 2015 targeting to be the first Chinese private company to deliver a satellite into orbit. 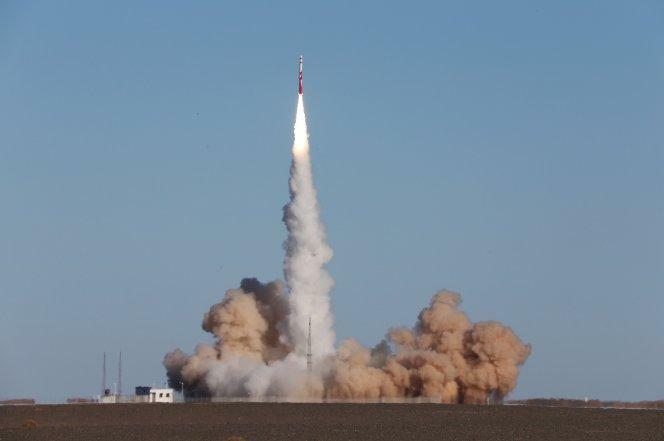 It was the first private licensed company in China to launch carrier rockets. Local media reports also said that the rocket was carrying a satellite for state broadcaster CCTV. Chinese President Xi Jinping has always been vocal about becoming a “space flight superpower,” with the aim of sending a permanent manned space station into orbit by about 2022. So the Chi Com's have been stealing all the americans tech. Maybe they should spend more time stealing Russian engine tech. Since Americans have to buy Russian engines.